What better way to compliment your summer wardrobe than a colorful manicure/pedicure! These days there's no need to be "matchy matchy" with our clothes or our nails! Ladies...lets get wild ;) Here are a few of my favorite combos. Peach is a great neutral paired with lavender. Cajun Shrimp (coral) match with a bright orange! 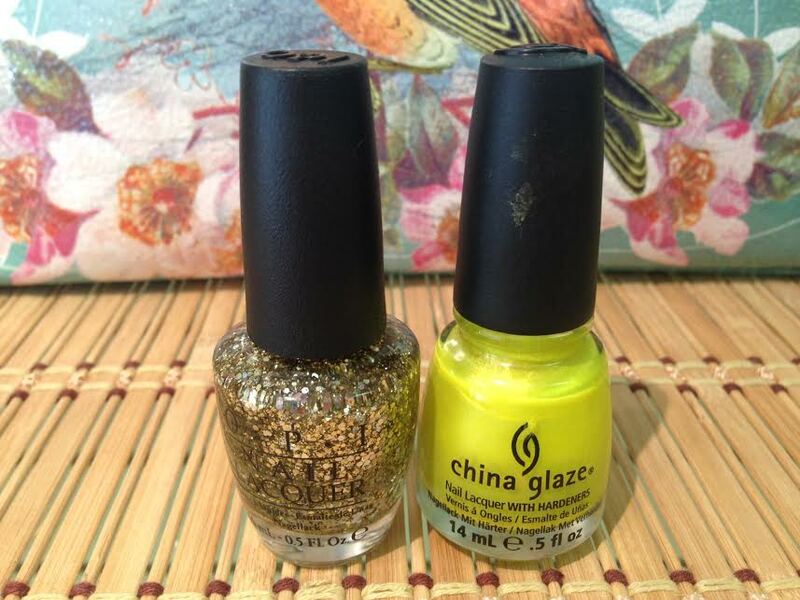 If you're feeling brave & trendy, use a bright color on nails and toes then layer a fun glitter on top! More of a natural kinda girl? Try a pretty light pink neutral on your finger nails and something more fun like a bright purple on your toes! My last favorite look...Metallic gold or silver on fingers and something crazy like blue on toes. Just remember....polish isn't permanent and if you don't like a color you can always change it.